ACCEO Accessibility presents its application for managing and monitoring the accessibility adaptations to your property: PandoraAccessibility©. 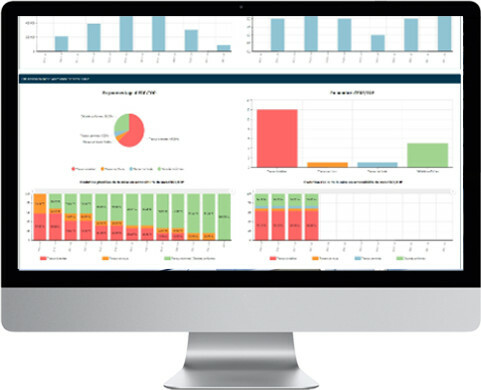 Developed by the IT department and tailored to your property, this application can be accessed directly via an internet link to simplify your data management. 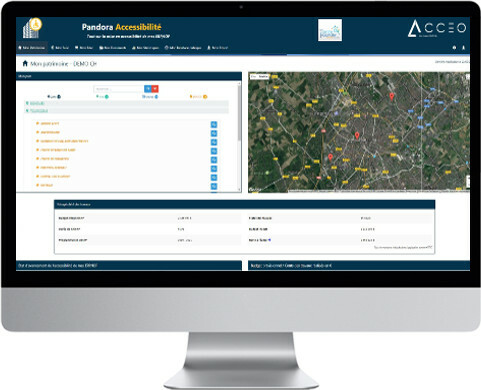 PandoraAccessibility© offers a clear and detailed overview of all your buildings by logging in to www.pandora-accessibilité.acceo.eu. Allowing us to digitise and classify all the documents relating to your buildings, this application also ties in with our environmental commitment and facilitates your document management. Free to use, logging in to PandoraAccessibility© is fast, easy and secure. store large documents to facilitate the sharing of information between different stakeholders (project owner/external service providers, etc. ).